The City of Denton Landfill (Texas, USA) reportedly is the first in the world to implement “closed-loop waste management.” This technique combines landfill gas (LFG) capture with landfill mining to sort out and recover reusable and re-sellable plastics and metals, as well the remaining organic material for conversion to biomass energy pellets. Mining reduces the volume of material enough (by an estimated 95%) for the fill space itself to be re-used for new waste placement, thereby extending the life of the landfill essentially indefinitely (i.e., perpetual landfill). Dr. Sahadat Hossain, of the Solid Waste Institute for Sustainability (SWIS) at the University of Texas Arlington, developed this perpetual landfill model to be cost-efficient and potentially profitable. The roughly 20-year cyclical process significantly reduces the need for long-term environmental monitoring, one of the greatest legacy costs of landfill management. It also reduces a municipality’s land acquisition costs for future landfill sites, while providing a revenue stream in the forms of cheap, locally-produced energy and reusable materials. While the concept is readily applicable to U.S. solid waste management sites, even greater potential may reside in many developing countries, where open-pit landfills and open-air trash burning are common solid waste disposal methods. Many of the developing world’s cities do not have the same level of access to public and private funding for landfill projects as their counterparts in developed nations, and cannot readily afford greener and more sanitary forms of waste management. However, the profitability factor of the closed-loop technique, along with potential public health and environmental benefits, could be attractive to both budget-conscious policymakers and investors, creating potential for deployment worldwide (source: Al Jazeera). Speaking with Methane International, Dr. Hossain says SWIS and the City of Denton have already welcomed representatives from Addis Ababa, Ethiopia, who plan to implement a closed-loop system for their city. Another sign of global applicability is the group of international students and researchers eager to come to SWIS each year to learn about emerging methods like this at a two-week “Winter School,” a hands-on landfill sustainability program hosted jointly with the International Solid Waste Association (ISWA) and the City of Denton. 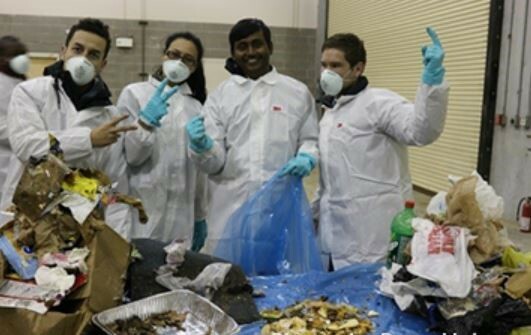 Dr. Hossain and his team will welcome the Winter School’s 2017 class of up-and-coming landfill sustainability specialists to Arlington, Texas, on January 16-27, where GMI’s Tom Frankiewicz will be a featured presenter. And the timing of the gathering couldn’t be better – it just happens to be January of 2017 that the nearby City of Denton’s new landfill system is expected to become fully operational. The presentation can be used sequentially, or by using its internal links to navigate between sections. Click below to start your tour! Held by the National Institute for Occupational Safety (NIOS) and the China Coal Information Institute (CCII), the International Symposium on CBM/CMM and Shale Gas in China is an international communication platform which brings together stakeholders to share experiences and project-oriented solutions to the problem of CBM/CMM development. The Symposium will also consider shale gas policies and development and commercialization strategies. How will Southeast Europe reach the standards and goals of waste management set out in the EU directive? We know that countries such as Austria, Sweden, Netherlands and Japan took more than 30 years to reach their current high levels of effective waste management. Can Southeast Europe meets its deadline in a decade? How and at what cost? How will this be financed? Which technologies will be used? What types of laws and regulations are needed to achieve this? How will authorities communicate to citizens the choices before them? What kind of lessons can be learned from the successful or failed attempts of other countries? Which sciences and studies can be applied in the region? These are the topics, challenges and debates expected at ISWA World Congress in Novi Sad in 2016. The Climate and Clean Air Coalition (CCAC) will hold its biannual Working Group Meeting in Paris, following the last Working Group Meeting at the Global Methane Forum. The focus of this Working Group Meeting will be learning more about the progress and impact of CCAC initiatives through interactive sessions. It will also involve discussion and agreement on changes to the CCAC partnership and governance following the work of the Task Team, including changes to streamline the funding process, and preparations for the High Level Assembly (HLA) in Marrakesh on the margins of COP22. A member of the GMI ASG will attend to represent GMI in its new role as non-state Partner. As this meeting is not open to the public, stay tuned for our report on the meeting. The World Mining Congress is a world mining event that takes place every 3 years. The event aims to promote and support, both technically and scientifically, the cooperation for the national and international development of mineral areas and resources, and implement a global information network concerning mineral science, technology, economy, occupational health and safety and environmental protection. The UNECE Group of Experts on Coal Mine Methane (CMM) undertakes and promotes activities aimed at reducing greenhouse gas emissions from coal mines. Apart from its focus on reduction of the carbon footprint of the mining industry, the Group of Experts also works toward the improvement of underground mine safety conditions. Through its activities in the field of methane recovery and use, the Group of Experts helps to reduce the risk of coal mine explosions, and thus helps to save lives and avoid large-scale economic losses. Although it’s high summer here in the Northern Hemisphere, the Global Methane Initiative is already glancing ahead to the 2017 ISWA-SWIS Winter School. The International Solid Waste Association (ISWA) will hold the conference on 16-27 January 2017, at the University of Texas at Arlington’s (UTA’s) Solid Waste Institute for Sustainability (SWIS). GMI has become an annual participant at the conference – last year, GMI’s own Tom Frankiewicz served as a presenter on the “Global Waste Management Perspective” panel discussion. The deadline to apply for a Winter School scholarship is 15 September 2016 (Texas local time). Additional submission guidelines and rules are on ISWA’s website. For more information about the Winter School itself, you can download the ISWA-SWIS brochure or check out the conference on ISWA’s Calendar of Events.